Located on the Figueiredo River, a tributary of the Jaguaribe River, the Weir Figueiredo is a project that aims at the same time, reduce the effects of drought, bringing drinking water to at least 60 thousand people in the municipalities of Alto Santo, Iracema, Potiretama, Pereiro and Erere, and provide conditions for the development of irrigated agriculture, fish farming and fishing in the region. To a lesser degree, aims to provide water for industrial demand and set up as a place of leisure and recreation of the surrounding community. With the beginning of operation of the reservoir there will also be an increase in the availability of surface water in the sub-basin of Middle Jaguaribe, allowed by the perpetuation of the Figueiredo River. The Weir Figueiredo will accumulate 519.6 million cubic meters of water, flooding an area of 4,985 hectares, becoming one of the largest reservoirs of Ceara. The project foresees the construction of a dam, and will have a total extension of 2,947 meters, with eight meters in width and maximum height of 43.5 metres. For the construction of the dam, the Federal Government will evict 9,631 hectares of land located in the municipality of Alto Santo, which will affect the communities in Iracema e Potiretama. Despite significant advances of the works of the project, families of small farmers in the communities of Lapa, in Potiretama, the District of San Jose of Famas, Boa Esperanca Settlement and localities in the Aguas Novas in Iracema, remain insecure about their future. The compensation and the construction of the houses where many will be relocated are not being properly performed. Those families who accepted the compensation complain about the value that will be paid; the delay of the agrarian regularization; and against the non-inclusion of recreational activities, equipment, leasehold improvements and infrastructure necessary for their physical and cultural reproduction in the calculation of the values. This makes it unlikely that these families are able to re-establish their traditional activities in other areas. Those families who will be resettled are in an even more urgent situation because - despite the thread of submergence- the houses where they were to be transferred have not yet been built. In August 2010, these families occupied the construction site of the dam, to protest against the problems related to the compensations and resettlements. An agreement was signed in September 2010. 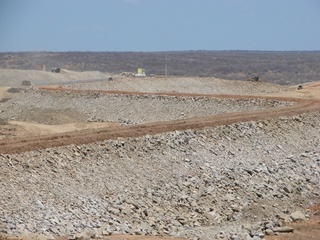 Under the agreement, the Departamento Nacional de Obras Contra a Seca – DNOCS is supposed to undertake the completion the dam works simultaneously with the construction of houses for resettlement and to carry out the payment of compensation until December 23, 2010. However, the agreement has not been fulfilled by DNOCS. In June 2011, the Defensoria Publica da Uniao (DPU) moved a lawsuit against the DNOCS to force the federal agency to comply with the terms of the agreement and applicable law. 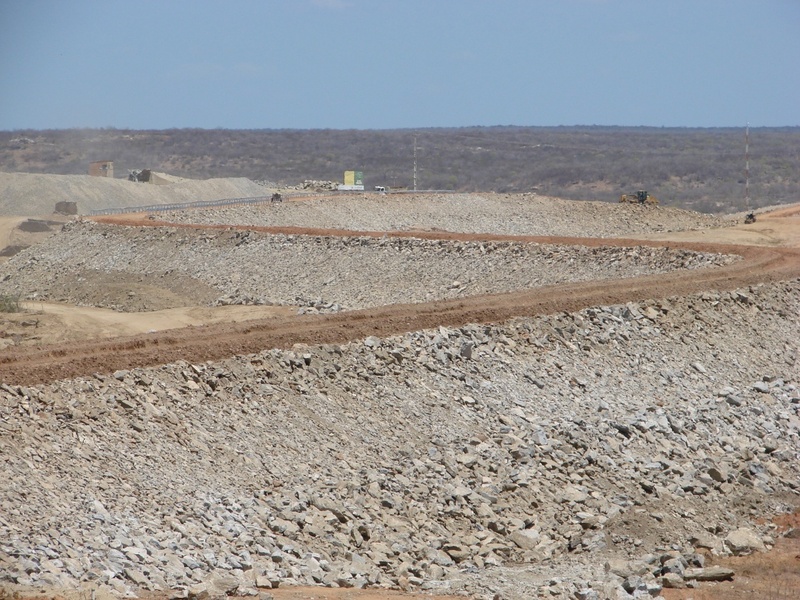 In August 2011, DNOCS was sentenced to stop the work of the Figueiredo Dam and perform a complementary technical study to the EIA/RIMA of project. At the same time, the families denounced that a lawyer was using her relationship with an important public official connected to DNOCS to convince many families hire her to expedite the release of compensations. The actions of the lawyer and civil servant were denounced to the competent authorities. In November 2011, a new lawsuit has been moved for DPU to defend the interests of the families affected. The mobilization of the community, of DPU and a network of popular lawyers resulted in the signing of a new agreement in June 2012. However, even today the families remain threatened and without access to the required compensation. Project Details The total capacity of the reservoir is 519.6 million cubic meters of water. 4,985 hectares will be inundated. The project foresees the construction of a dam, and will have a total extension of 2,947 meters, with eight meters in width and maximum height of crowning 43.5 metres. About 9,631 hectares of land located in the municipalities of Alto Santo, Iracema and Potiretama will be expropriated. Why? Explain briefly. Families are not yet secure in relation to receipt of compensation or resettlement. DEFENSORIA PUBLICA DA UNIAO. Populacao afetada por barragem recebe visita de defensora. 06 set. 2011. Disponivel em: Acesso em: 03 set. 2012. SILVA, Rodrigo Medeiros. DPU age para impedir que se perpetue o descaso contra os atingidos pela Barragem Figueiredo. Combate ao Racismo Ambiental, 28 nov. 2011. Disponivel em: Acesso em: 03 set. 2012. AÇAO Civil Publica em face ao DEPARTAMENTO NACIONAL DE OBRAS CONTRA AS SECAS - DNOCS. Fortaleza, 14 nov. 2011. 21 p.
BRASIL. Presidencia da Republica. Controladoria Geral da Uniao. Relatorio de Auditoria N° 00190.024902/2011-11. Brasília: CGU, dez. 2011. 251 p.
BRASIL. Ministerio da Integracao Nacional. Departamento Nacional de Obras Contra as Secas. DNOCS discute no Ceara obras financiadas pelo PAC. Fortaleza, 11 mar. 2009. Disponivel em: Acesso em: 17 nov. 2010.